As the Peace Islands Institute we have been a part of the support for the Jewish Community and spoken against the recent racist violence against the 3 synagogues in New Jersey. We condemn this hatred and violence in the strongest terms. We condemn anti-Semitism and acts of any violence or hatred directed at any religious and ethnic community. A synagogue has been the victim of a dangerous hate attack -an arson attempt- this week in Paramus. 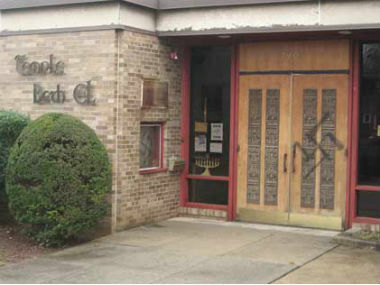 This is the third attack by an unknown assailant(s) against a synagogue since approximately December 19, when a synagogue in Maywood was defaced with racist graffiti, followed by the same sort of vandalism in Hackensack the following week.